“England, 1851. William is a biologist and seed merchant, who sets out to build a new type of beehive – one that will give both him and his children honour and fame. Reading The History of Bees provoked mixed and uneasy feelings. The three main characters who narrate the story are not always endearing or even likable. In fact a lot of the time I really felt quite annoyed with them, particularly William and George. Despite their stubbornness or perhaps due to it, I found myself rooting for each of them to succeed. And despite the insight of Tao’s narrative, I felt hopeful for them all. The characters are more than just heroes or perfect people with selfless intentions. Lunde is successful in taking the reader along the journey with the protagonists. As readers, we hang on the fate of Tao, George, William and their respective families. Despite the prospect of a dystopian conclusion, the narrative holds the reader on in hope and does not disappoint. There is much at work in the novel. Of course, it is about bees. And it is about the very real and frightening consequences of Colony Collapse Disorder – a disturbing age-old phenomenon which has risen steeply in recent years. The prospect of losing the bees entirely looms heavily over the narrative and is played out in Tao’s world of a bleak future. But the novel is not just about bees. It also deals with themes of parenthood, loss and the gaps of understanding between generations and peers. Each of the three protagonists deals with issues of separation from their children – either physically, intellectually or emotionally. The difference between parental expectations and what their children actually want and need is stark. The gap between the characters’ and their spouses’ expectations are also explored, and across the gaps of time and geography Tao, George, and William have a lot in common in this area. Their relationships are all threatened in different ways by their persistence in following their chosen paths. They refuse to let go of the passions that it seems they have no choice but to be led by. However, each character has different values and expectations, especially when it comes to their children. George wants his son Tom to be enthused by his bee farm – a family legacy. He wants Tom to learn from the practical experience of working with the bees. However, Tom is happier at college absorbing himself in books, learning and writing. Intellectual Tao wants her child, Wei-Wen, to be academically successful from a young age. Although her intelligence has not spared her from a life of harsh manual work, she hopes Wei-Wen can stand out and this will keep him from the grueling work. She now only has one hour a day between work and brief sleep to try to boost her child’s learning. Wei-Wen could be working in the fields by the age of eight. A world where bees no longer do the work of pollinating crops means there is widespread child labour. Everyone must play a role in supporting the heavily controlled state’s precarious food production. William represents some balance between intellect and practicality. He wants his son Edmund to learn both from books and the experience of seeing the practical results of intellectual efforts. But in focussing all his attention on Edmund, he fails to notice that another of his children is capable, both intellectually and practically. Having fixed expectations about what is for the best is one of the flaws of all three of the main characters. In different ways, they are concerned with establishing the superiority of one way over another. Lunde’s carefully constructed narrative eventually reveals a bigger picture. There is the potential to achieve a balance between both pragmatism and intellect. The efforts of the children provide hope and connection between the three parallel narratives. I loved the connections between the narratives which are set in very different locations and time periods. I also loved the way food, hunger and appetite are explored in contrasting ways across the storylines. And I loved to feel annoyed by the characters while rooting for their efforts to be fruitful! Who will enjoy The History of Bees? 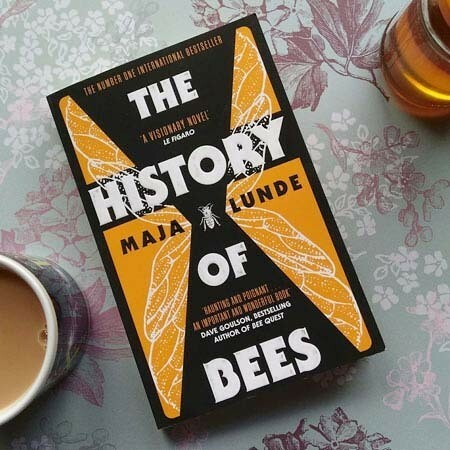 If you like literary fiction that deals with challenging relationships and self-discovery you will enjoy The History of Bees. 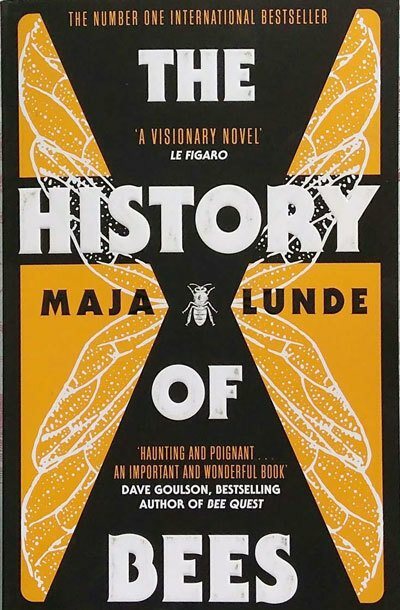 If you also like to have that literature layered with historical fiction and dystopian or speculative fiction that asks disturbing questions about humanity and natures near future, you will love The History of Bees. You may well find inspiration to find out what you can do to protect bees in the here and now. Helpfully, the author of the book has provided some more information about this in a Q&A section at the end of the book. If you enjoy dystopian or speculative fiction check out our guide to books for fans of The Handmaid’s Tale here. Or if you are looking for other books for grown-ups you can find more ideas and recommendations here and a range of books for all in our summer reading guide here. Have you read The History of Bees? What did you think? Let us know in the comments below. Check out prices and availability of The History of Bees here. What a fantastic, in-depth, and considered review!! Hats off to you lady, you’ve absolutely nailed this ❤️ In all honesty, I’ve been avoiding this one, mostly out of ignorance I think – the crisis of bee populations really triggers some anxiety in me, and I was steering clear of The History Of Bees thinking it would just be too much. But, from what you’ve said here, while the crisis is part of the story, it’s not the only (or even the central) focus, and the story as you’ve described it sounds really interesting. So thank you for taking the time to share your thoughts, you’ve really turned me around! ? 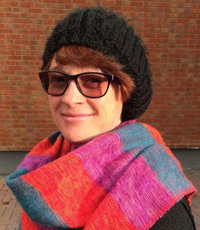 Thank you Sheree, it’s fantastic to know my review has been useful! The History of Bees is a fantastic book but I understand your anxiety. Although I feel drawn to books about possible futures I sometimes worry that the dystopian or speculative fictions I enjoy reading are getting too close to reality for comfort. But I think that having one foot in the real world may be one of the reasons this kind of books can be so effective and powerful!